Dear Lord, grant me patience. Because if you give me strength, I’m going to need bail money to go with it. 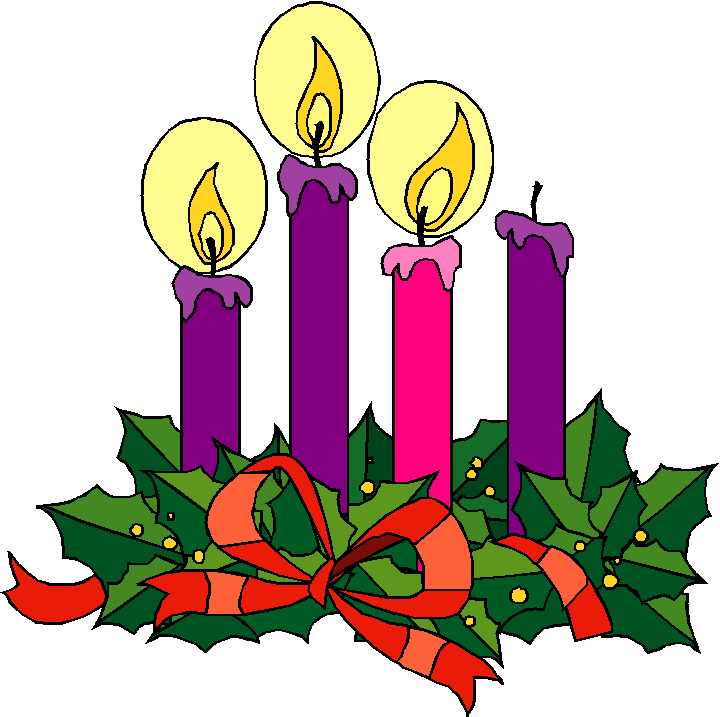 In church we turn patience into ritual, singing songs about the wait, praying prayers, reading scriptures, and lighting candles—one new one each week—to show us how close to Christmas we’re getting. This notion that patience is a virtue is a very pious one, indeed. James says just what we want him to here, just what we expect of the apostle who was the biological brother of Jesus: Be patient as you await the coming of the Lord. This kind of patience is reverent and passive. We picture it being practiced with closed eyes and clasped hands and bowed heads. This seems perfect for a season of the year we associate with longer nights and shorter days, a time when we want to be with family and friends, a period of nostalgia and longing for the way things used to be. I think most people—Christian and non-Christian—think of this kind of patient waiting as the Christian ideal. If our religion is other-worldly, if it looks ahead to heaven and promises the oppressed and the downtrodden something better in the next life if only they behave themselves in this one, then it requires a great deal of patience, indeed. 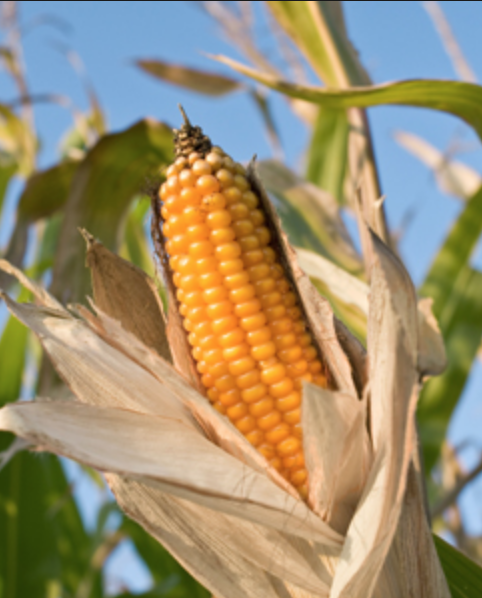 The great 19th century preacher Charles Spurgeon called patience a “virtue par excellence.” He made an interesting point about the crop mentioned by the Apostle James, looking at patience not from the farmer’s point of view, but from the corn’s. Let me paraphrase what he said. It’s a quaint description, and quite literally corny. But there’s something beautiful about it nonetheless, isn’t there? Having gotten all the nutrients it can from the earth, the corn is now transformed by heaven into what it is meant to be. The older I get, the more powerful these old allegories seem. There’s something to be said about that kind of patience. I still have hope for this life. But I also long for a hope that lives beyond it. I can’t fall asleep in the golden cornfields of hope for the world to come, however, because as beautiful and peaceful as it seems, beginning that reading at the seventh verse of James 5 was very misleading on the part of the lectionary committee. Because James isn’t just known as the Brother of Jesus, but as James the Just. He is James the Just because his epistle—as much as any other part of the New Testament—is concerned more with justice in this world than it is with reward in the world to come. While the writer of John’s gospel and the Apostle Paul might be heavily influenced by Greek philosophy, Jesus and his brother James are much more concerned with the Hebrew idea of justice. Come now, you rich people, weep and wail for the miseries that are coming to you. Your riches have rotted, and your clothes are moth-eaten. Your gold and silver have rusted, and their rust will be evidence against you, and it will eat your flesh like fire. You have laid up treasure for the last days. Listen! The wages of the laborers who mowed your fields, which you kept back by fraud, cry out, and the cries of the harvesters have reached the ears of the Lord of hosts. You have lived on the earth in luxury and in pleasure; you have fattened your hearts in a day of slaughter. You have condemned and murdered the righteous one, who does not resist you. Be patient, therefore, beloved, until the coming of the Lord. The waiting that James talks about here isn’t, I don’t think, a passive acceptance of the way things are. James has already said too much to advocate more justice to allow for that interpretation. Instead, I would say that he’s advocating patience for God to act against those who commit injustice. In other words, God, and not God’s people, will be the ultimate Judge. This goes along with what I’ve been saying lately about the psalms: They’re prayers that sometimes express emotions that we don’t think should be blessed by being part of the scriptures. But remember that the key word is prayer: People are pouring out their emotions to God and waiting for God to respond. There’s no evidence that vengeance, once it’s been prayed for, is acted upon by the person doing the praying. God often answers prayers with a resounding No. The idea that God waits certainly gives new meaning to the second part of our verse: The farmer waits for the precious crop from the earth. To think that what humans produce might be that precious crop isn’t even allegory or metaphor. If this verse were written in Hebrew (it wasn’t—it was written Greek), then it would be literally true, because the masculine form of the word adam (אָדָם) has a double meaning: both man and the proper name of the first human being; while the feminine form of the word adamah (אדמה) also has a double meaning: both woman and earth. We know, too, that God’s waiting is not passive. God is at work as God waits. The precious fruit of adam and adamah is the work of God, for without God, we produce nothing. And so we who are made in God’s Image should also avoid thinking of waiting as simply quiet acceptance of all that comes our way. It may include bowed heads and clasped hands and closed eyes, but waiting for God is a lot more than that. 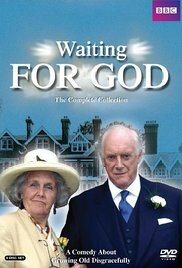 Speaking of Waiting for God, that was the name of a sitcom on BBC. It was about people living in a retirement home who were expected—by both their families and the people running the home—to do just that: sit around waiting for God to claim them. But, of course, it wouldn’t have been much of a series if that’s all they did. In fact, they had active and hilarious lives to live while they were waiting. And one of the chief themes of their activity was their passion for justice. “Nothing wrong with the food,” Tom answers. “So what is it?” asks Harvey. Finally, there’s laughter when it becomes apparent that nobody’s even listening. But that’s not what the Epistle of James is really about. Yes, it’s about the wait between Christ’s first coming and his final one. But more than that, it’s about how we should conduct ourselves during that wait. It’s about how to identify the evils we see around us and what to do about them. 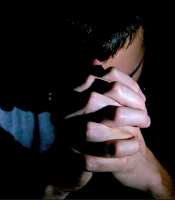 It’s about bowing in prayer, and then getting up and acting like what we just prayed about matters. So our patience needs to be confident and strategic. We’re made in God’s Image, and so we have to assume that if God’s patience is active, then so must ours be. We pray, “Give us this day our daily bread,” and then get up and work for our food and prepare it before eating it. Manna may have fallen from heaven into Israel’s lap in the wilderness, but we expect to play some rôle in the answer to our prayer for sustenance. So why should justice be any different? As a matter of fact, John Calvin would include prayers for justice in the petition, “Give us this day our daily bread,” because he said that this refers to “not only food and clothing, but everything which [God] knows will assist us to eat our bread in peace.”  And we cannot eat our bread in peace if there is no justice in the working for it or the getting of it or the placing of it on our tables. To plant seeds of justice, and to tend to justice so that it doesn’t wither on the vine before it’s harvested is neither a sign of impatience nor a lack of faith that God will act. In the words of the prophets and in the life, death, and resurrection of Christ, God has acted. It is ours to be good stewards of the prophets’ words and the grace of Jesus Christ. Impatience is when we look around us and see that people who aren’t like us are being granted the justice we think we deserve, and so we act to destroy it all in the voting booth. When this happens, we entrust our institutions to those who have vowed to undermine and even destroy them, twisting injustice into a bizarre virtue. It may sound like a dystopian fantasy novel. But this is now our reality. And though the Apostle James might tell us to be patient and wait for God, he says to do it like a farmer: plant seeds, nurture what sprouts, and tend what grows. So let us practice the virtue of godly patience—patience that sees us praying for God’s sustenance, and then using our God-given gifts not only that we might eat our bread in peace, but that others might also be sustained by the answer to our prayers. The evils that James the Just wrote about are still with us: the rich are still shown favoritism, unkind words are still spoken, laborers are still underpaid, the poor are still blamed for the troubles of the world. And though he may have told us to be patient as we awaited God’s justice, he said it only after goading us to act as though the precious fruit of God’s justice had already arrived… for in the Incarnation of God in the stable in Bethlehem, that is exactly what happened. Charles Spurgeon, Sermon No. 1025 A Visit to the Harvest Field, Sermons, Vol. 17: 1871. This reminder of Luther’s “epistle of straw” comment is somewhat of a cheap shot, since Luther only said it once (in his 1522 Preface to the New Testament) and later retracted it (neither it nor the paragraph in which it appeared were found in any subsequent edition of this work). Alexander Maclaren, Expositions of Holy Scripture. John Calvin, Institutes of the Christian Religion 3.20.44. Read the 2nd and 3rd chapters of James in their entirety.